CleanFund Commercial PACE Capital, the leading Commercial Property Assessed Clean Energy (C-PACE) financier, and Solaria Corporation, global provider of solar module technologies, have formed a C-PACE financing partnership making the integration of solar technologies into the building skin more affordable. 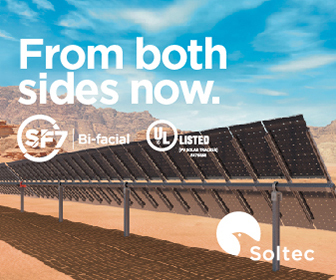 By providing commercial building owners access to Solaria’s customizable product line, along with the benefits and flexibility of C-PACE financing, this SolarPACE collaboration maximizes the availability of long-term incentives to developers who implement architectural solar (aka - Building Integrated Photovoltaics - BIPV) into commercial projects. “We aim to partner with companies that are driving the adoption of innovative clean energy solutions,” said Joshua Kagan, Vice President of Sales at CleanFund. “This is no exception - Solaria is paving the way for the mainstream adoption of architectural solar. And, with SolarPACE financing, the decision to incorporate this technology is now more accessible than before.” Commercial building owners who seek to incorporate architectural solar into their projects benefit from the building skin generating energy, which offers a compelling return-on-investment, along with multiple advantages that improve occupant wellness and comfort. 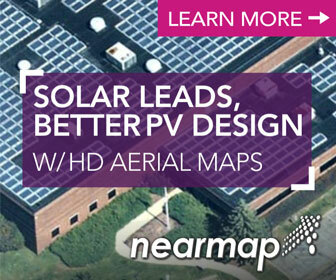 SolarPACE is designed to maximize cash flow, with terms up to 30 years. It can solve most credit challenges found in commercial solar project financing, since C-PACE is secured by a parcel tax assessment with payments billed through ordinary property taxes. Owners often have the option to pass all or a portion of the C-PACE payments to tenants, who also benefit from lower energy costs. With flexible options to utilize solar tax credits, SolarPACETM enables building owners and developers to stay within project budgets and lower overall project costs.